Prepared especially for you by master chocolatiers who, from selecting the highest quality cocoa beans to creating the finest textures and tastes chocolate can offer, demand nothing less than perfection. Experience the ultimate union of force and finesse through these intense and elegant flavors, fine textures and lingering tastes. Discover Excellence with all your senses. This product is characterized by a rich dark brown color and subtle, spicy aroma. 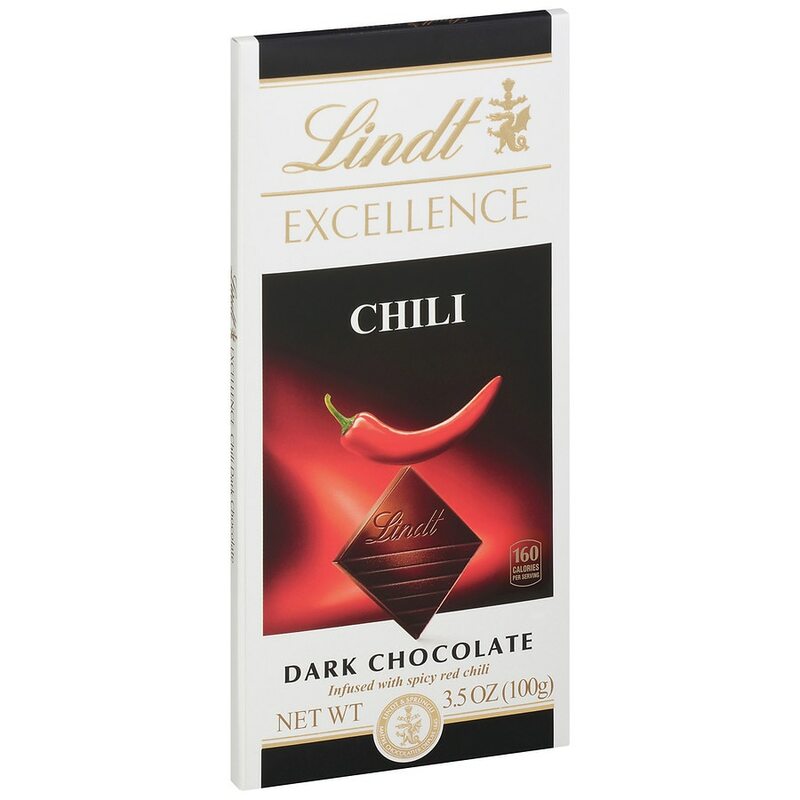 Experience how this smooth dark chocolate begins with sweetness on the tongue and then slowly yields to the delightful spiciness of red chili. Quality Guaranteed. Keep cool (60-68°F) and dry. © Lindt & Sprungli USA Inc.